A Distracted Driver Caused My Crash: How Do I Prove It? 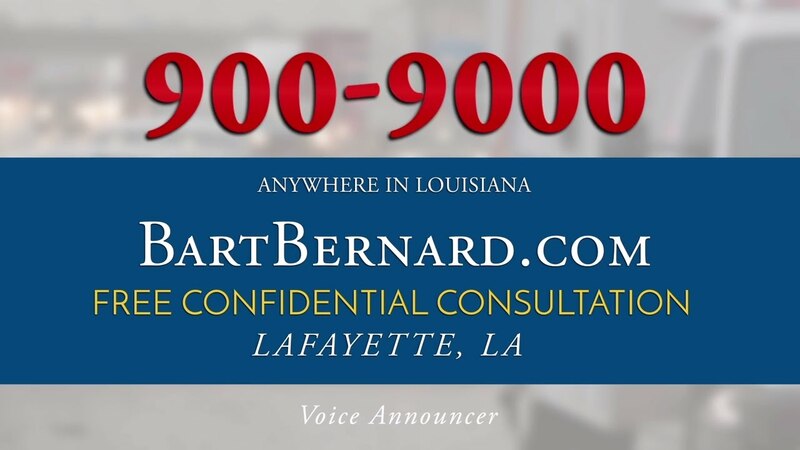 Bart Bernard Injury Lawyers Expands! Can a Passenger Sue a Driver After a Car Accident? Can I Sue My Employer for a Slip and Fall? Can the Insurance Company Force You to Total Your Car? Do I File a Workers’ Comp or a Personal Injury Claim? Drunk Driving in Louisiana: A Growing Epidemic? How Does Bad Weather Affect Slip and Fall Liability? How Does Louisiana Comparative Negligence Law Affect Your Claim? How Is Paralysis Evaluated in a Personal Injury Case? How Long Can Someone Stay on Workers’ Compensation? How Long Do Truck Drivers Stay on the Road Without a Break? How Much Does It Cost to Get a Lawyer After a Truck Accident? How Much is My Hernia Mesh Case Worth? How Much Is My Maritime Accident Worth? Opioid Addicted Babies: What Are the Long-Term Effects? What Are the “No Zones” of a Truck? What Are Truck Underride Crashes, and What Can Be Done About Them? What Injuries Qualify for Workers’ Compensation in Louisiana? What Is the Most Common Type of Construction Site Injury? What Should You Do If You’re Pregnant and Addicted to Opioids? Who Can I Sue After a Fall on a Public Sidewalk?